I decided to practice medicine because of both the technical and academic challenge. I enjoy studying a subject which is constantly changing and evolving. I frequently read articles involving new research, and I enjoy it when my preconceptions are challenged, or my opinions about various treatments are changed based on new evidence. Being part of the medical field provides me with an endless supply of intellectual challenges, which I really appreciate. However, I also find it incredibly rewarding to be in a position to really connect with people (patients) in a very unique and meaningful way. Doctors need to be able to provide a very specific and very special type of service in a patient’s time of need. To be entrusted with a task of this importance, and with the intimate details of my patient’s personal life is a great honor, and one I will always appreciate. My favorite part of practicing medicine is meeting new patients. Usually this is done in a hospital or clinic setting, but the patients I meet on CrowdMed are equally important. Everyone is unique, and everyone has an interesting story (even if they don’t realize it). For a skilled clinician, the story is usually 90% of the diagnosis. When I talk to a new patient, I am genuinely interested in what they’re telling me, and I’m really interested in the details. Which of those details is medically relevant is difficult to say before you’ve arrived at the correct diagnosis, so I tend to ask a lot of questions. Apart from the interest that I have in my patients, I also get great satisfaction from hearing a key piece of evidence clinch the diagnosis. 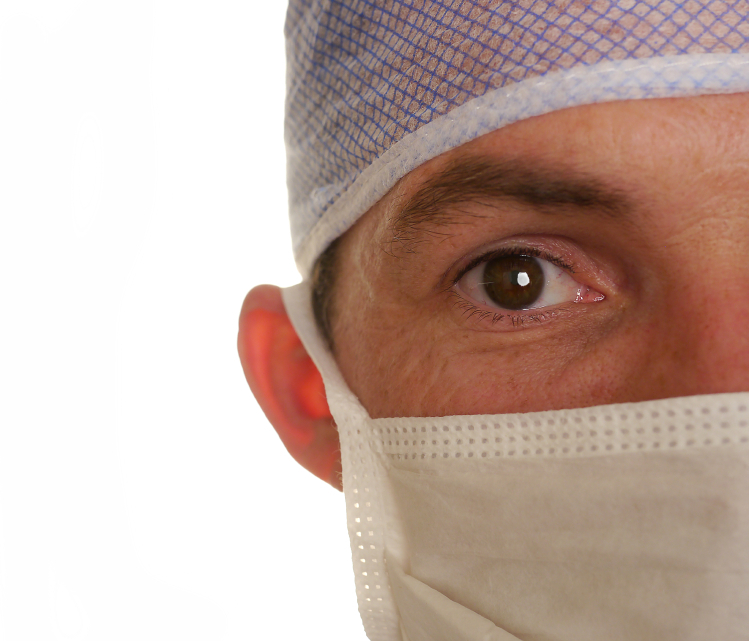 What is the biggest challenge in the medical field today? Unfortunately, one of the biggest challenges that many doctors face today is the issue of not having enough time with patients. Given the choice, I’m sure that many clinicians (myself included) would spend as much time as needed with a patient. However, due to pressure from multiple sources, this has become extremely difficult. When I was first starting college, I had two possibilities that I was considering. I considered both medicine and engineering. The truth is that I would probably have been genuinely happy with either career. I didn’t know what to do, and I knew that it was kind of an arbitrary decision at that point, because if I wanted to change my mind, I could later. So I flipped a coin. It landed on heads, which corresponded to “study medicine.” At that point I decided to start working in an emergency department as a medical scribe, and start taking undergrad classes toward medical school. Anatomy and Physiology was my first class that was medically oriented, and I enjoyed it so much and did so well that I was invited back to teach the labs for the rest of my undergrad career. My father is a great source of inspiration. He’s always been good at learning new things, and has demonstrated a tremendous work ethic his whole life. I’ve done my best to adopt this work ethic. He’s also great at meeting new people and building trusting relationships with people. He has taught me these skills by example and I do my best to live up to that example every day. I would greatly reduce the ratio of healthcare administrators to physicians. Healthcare should be delivered by a trusted physician… not by your HMO, hospital system, or government. The only two people that are important are the patient and the doctor (in that order). I would tell them to get as much medical experience as possible while getting ready to apply to medical school. Medical school is very challenging, no matter how intelligent or smart you are. It’s easy to get burned out, simply because it requires a substantial commitment and risk to even attempt medical school. Someone who wants to study medicine needs to have some patient encounters under their belt, because that’s what gets you through the tough times, and those memories help you to recover from being burnt out. If you don’t have any patient experiences in your past that have been rewarding for you, then it’s going to be very difficult to maintain the proper motivation to perform well in medical school. Get enough sleep, eat well, and don’t ever sacrifice your source of exercise. This myth about vaccines causing autism, or mercury poisoning, or whatever other dumb stuff people like to say now… So many people use this as an excuse to not vaccinate their kids, and to be honest, it gets me very angry at times (though usually I just try to be as understanding and nonjudgmental as possible). Kids need to be vaccinated, it prevents them from getting sick with the diseases that have profound implications for long term health and wellness. Please get your kids vaccinated if you haven’t already. I really enjoy working on the cases. I cant read a patient’s case without coming up with questions that I’d like to ask— I immediately get interested in their story, and I want to try to figure out what’s wrong and how to help them. I also enjoy having the income that CrowdMed provides. I have hundreds of thousands of dollars in loans, and I use a good portion of my CrowdMed earnings to pay these down. Life is very difficult for many medical students, because apart from the intellectual demands of medical school, there are also huge financial demands. Student loans don’t cover everything, and most jobs are not compatible with medical school life. Working on CrowdMed has been a way to earn a small income while still devoting myself 100% to my schooling. In fact, I think my participation on CrowdMed has been beneficial, because it forces me to research a wider variety of medical conditions and medical therapies than I would have otherwise. Because of the effort that I put into my CrowdMed cases, I’m going to be a better doctor in the future, because I learn more. Superman. Apart from the ability to fly (which is 99% of the reason…) Superman can also fly so fast that he turns back time. If you could give yourself an automatic do-over for anything awkward or stupid that you’d just said… wouldn’t you? I definitely would. Inspired? Sign up today to become a Medical Detective.